Whether in person (see picture right) or via hundreds of emails, we hear and respond to your questions about advancing oral feeding practice in the NICU. After all, it’s a big thing you’re doing. Changing a decades-old practice and culture is not an overnight adventure. You need help. Support. A listening ear. Solutions. the challenges other NICUs have encountered on the same journey and what they did to resolve them. what it means to implement the entire IDF Model of Practice, not just the tool associated with the practice. whether there’s a way to do this that doesn’t involve a few champions giving hundreds of one-hour in-services (been there, done that). how nurses perceive our online education and so on. We’ve met with multiple NICU teams (and hospital systems) and hundreds of individuals on the phone to address their challenges and support their progress. We think we have it now – your top 10 frequently asked questions. And we want to share those answers with the world so that everyone can benefit, while giving you real-time feedback on any additional challenges that have arisen. 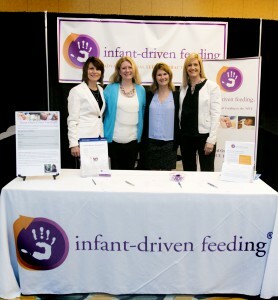 If you’re on this NewsNugget list, you’ll receive a special invitation in your inbox on May 11th to join us for a webinar on May 27th at 1pm EST titled: Top 10 FAQs: Implementing the Infant-Driven Feeding® Model of Practice in Your NICU. Anyone who is struggling with current oral feeding practice (including breastfeeding) and culture in their NICU. For now, save the date. Check your email on May 11th for a link to register and we’ll talk on the 27th!